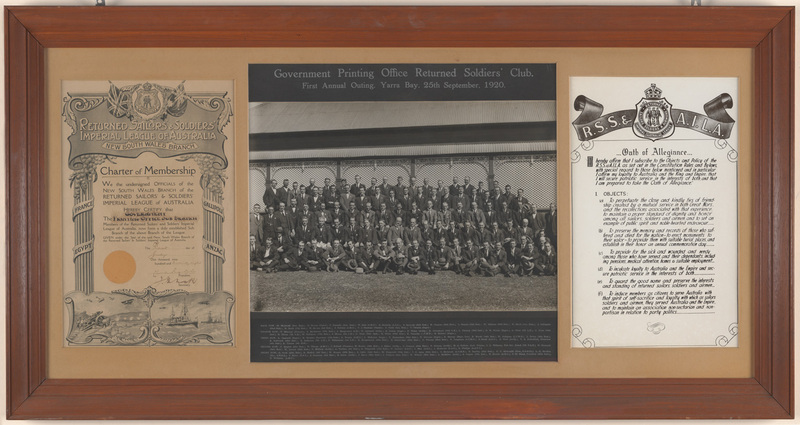 Government Printing Office Returned Soldiers’ Club. 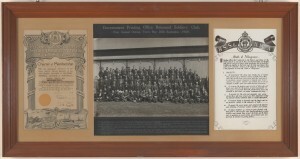 First Annual Outing, Yarra Bay, 25th September 1920. From A4126. I affirm my loyalty to Australia and the King and Empire, that I will secure patriotic service in the interests of both, and I am prepared to take the Oath of Allegiance. Charter of Membership detail from left hand side of GPO Returned Soldiers’ Club, 1920. From A4126. Photo detail with names from centre of GPO Returned Soldiers’ Club, 1920. From A4126. Oath of Allegiance detail from right hand side of GPO First Annual Outing, 1920. From A4126. This photo board is from A4126.